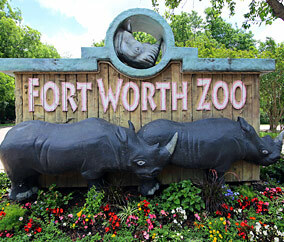 Fort Worth Zoo (Fort Worth, TX) - SAVE OVER 20%! With enough animals, hands-on interactive features, and behind-the-scenes animal encounters to fill the day, there’s something for everyone at the Fort Worth Zoo. The Zoo features plenty of attractions, including the Safari Splash water park, the Tasmanian Tower rock-climbing wall, and more. Order your tickets now and save!